Luis Palau, international evangelist, author and founder of the Luis Palau Association, is among the ranks of men and women in the Nyack College President’s Hall of Distinction. Each honoree selected exemplifies the institutional core values that are foundational to leadership development at Nyack College and Alliance Theological Seminary. 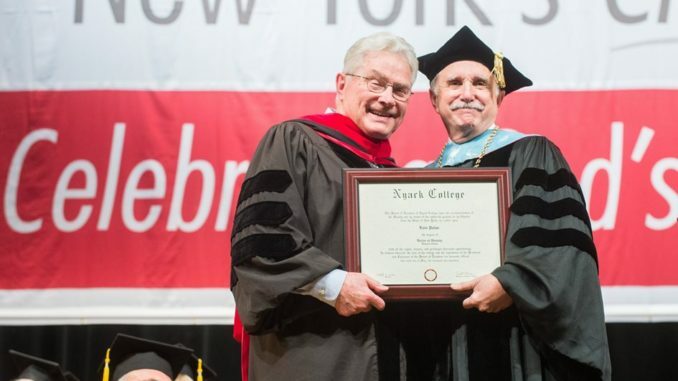 In 2017, Luis Palau was inducted into Nyack’s Hall of Distinction and also received an honorary Doctor of Divinity. 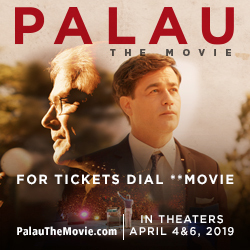 Today Nyack celebrates the news of “Palau: The Movie” coming to theatres in North and South America on April 4 and 6. Audiences will see the story of this dynamic leader on the big screen and learn why Nyack and Christians around the globe hold him in such high esteem. Over the past several years, Nyack students, faculty and staff have participated in the Palau Association’s initiatives like New York CityServe and CityFest which mobilized hundreds of volunteers to spend time throughout the boroughs of the New York City participating in community service projects. Look for the movie coming to a theater near you!